We are excited to announce that our annual gala will benefit Houston Audubon’s Bird-Friendly Communities program. 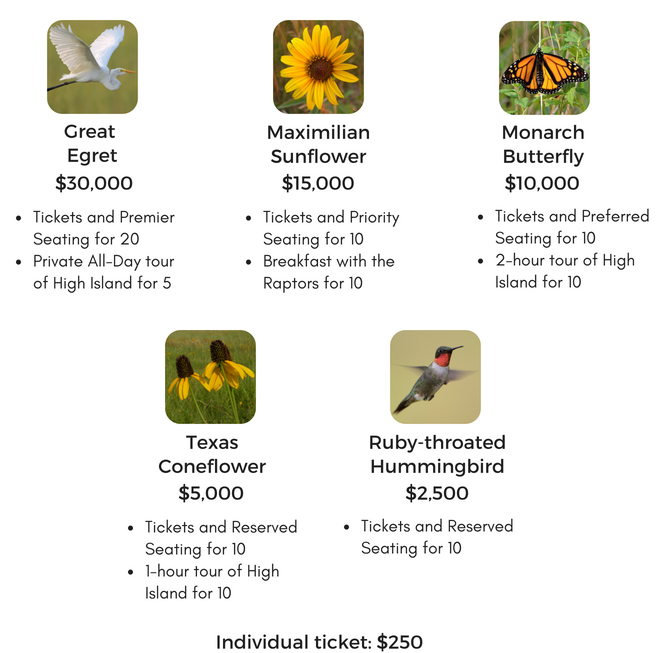 This program aims to transform the greater Houston area into a thriving community that supports birds, butterflies and other pollinators while providing more accessible opportunities for people to experience the wonder and joy of birds. Skywalk located on third floor of garage. *Sponsor recognition ($2,500+): listing on event webpage, event program, Naturalist and e-newsletter. Gifts are tax deductible to the extent allowed by law. Estimated fair market value is $135 per person. The Garden Club of Houston has played a key role in restoring, improving and protecting the environment through education, financial support and hands-on activities since 1924. The Club’s dedicated members spend countless hours cultivating native plants, removing invasive plant species, planting native trees and creating traveling conservation exhibits. Generous GCH grants over the years have funded many conservation efforts, including scholarships, schoolyard habitat gardens, community vegetable gardens and educational brochures. We greatly appreciate The Garden Club of Houston and all that its members have done over the past 94 years for birds, bugs, plants and people. Don Verser is a prairie conservationist who has devoted countless hours working on habitat restoration in High Island since 2006. Don’s Drip at Smith Oaks Bird Sanctuary was named for him in appreciation of his hard work and pioneer spirit. Don discovered Deer Park Prairie and was instrumental in saving it. In addition, his pocket prairies throughout Houston highlight the interdependence between native plants, birds and insects. We celebrate Don for his accomplishments which serve as a blueprint for others to follow. 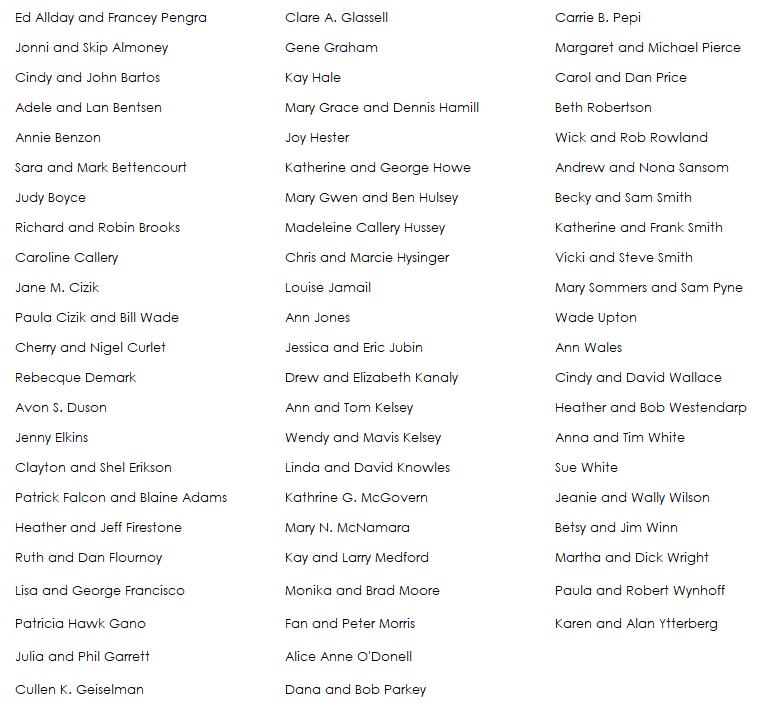 Avon S. Duson & Katherine and Frank C. Smith, Jr.